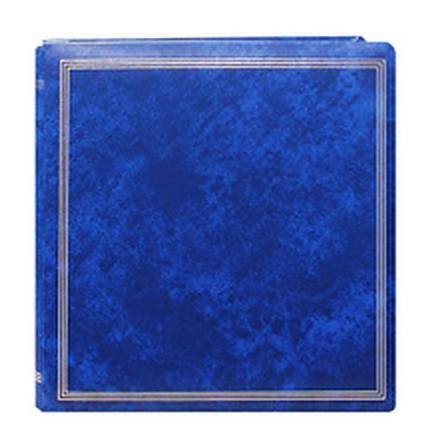 The Pioneer X-Pando Magnetic Photo Album (Royal Blue) contains 11-3/8" x 11-3/4" pages that can hold all popular size prints including panoramics and enlargements. Each album features screw post binding that accepts unlimited Magnetic Refill Pages. The cover is made of leather-like, washable Endurahide with rounded corners & rounded expandable library back spine. Clear plastic overlay with self-adhesive pages hold photos securely inside the album. Frame and Album Size: 12-1/4" x 12-3/4"